Yelkouan Shearwater Project is started in 2010 with the aim of determining the seasonal movements and numbers of globally threatened seabird; Yelkouan shearwater Puffinus yelkouan in the Bosphorus strait. After revealed the patterns in the Bosphorus the project is funded by Rufford Small Grants and extended its study area and objectives in 2012. Coastal counts in Dardanelles strait and boat based counts in the Marmara Sea were implemented between 2012-2013 and the project was started to evolve into comprehensive research on the species. The team started to look for potential breeding areas for Yelkouan shearwaters along the Aegean coast of Turkey. 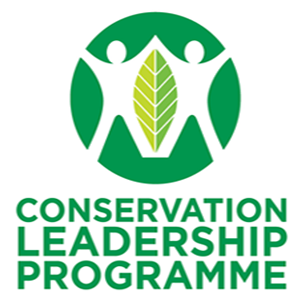 And finally, in 2015, the team won the Future Conservationist Award from Conservation Leadership Programme for the first seabird by-catch project in Turkey. It is the first research project focusing on Yelkouan shearwaters in Turkey. The project is expected to provide supportive information on the global population estimates of Yelkouan shearwater, on the movement patterns of the species in Turkish Straits System, the breeding status of the species in Turkey and finally the extent of the at sea threats –mainly by-catch- in Turkey. The ultimate goal of Yelkouan Shearwater Project Turkey is to contribute ongoing research in order to better understand the whole picture in the Mediterranean Basin and to take part in the global conservation of this species. A small independent team leads Yelkouan Shearwater Project – Turkey with the contribution of volunteers mainly from Istanbul Birdwatching Society and researchers from other countries and with no other resources but small grants.